It’s said that good things come to those that wait. For patient fans of one of Americana music’s most influential artist-songwriter couples (married since 1981) that wait for something good is almost over. 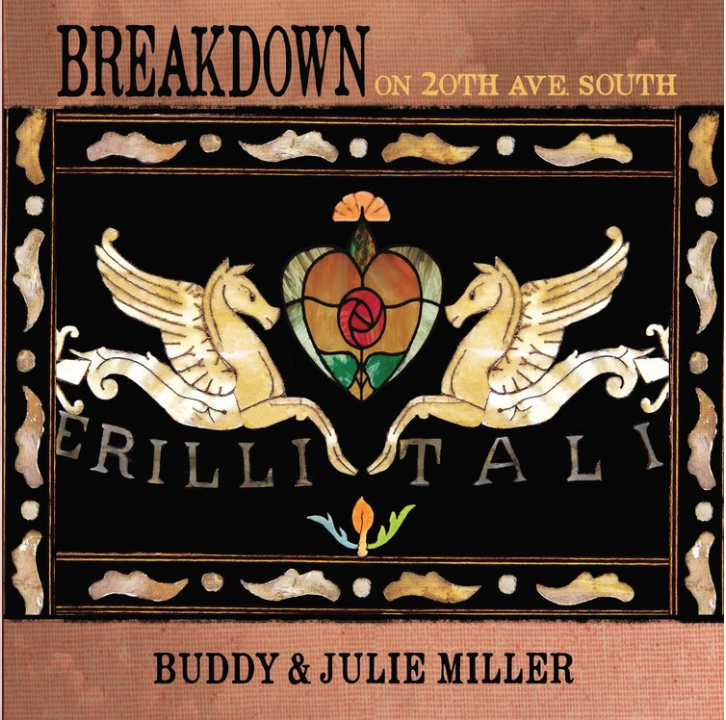 The long-anticipated follow up to 2009’s Americana Music Association Album of the Year ‘Written in Chalk’ is entitled ‘Breakdown on 20th Ave. South,’ and it will be available June 21st on New West records. New West has whetted our appetite by releasing 2 cuts from the album. “Spittin’ on Fire” and “War Child,” both tracks reflect the lo-fi aesthetics the couple has established throughout their careers. Echos of the folk and Southern Rock reared in the Mississippi Delta and the Appalachian Mountains is apparent throughout the songs. The album’s title comes from the couple’s much-delayed home studio in Nashville. The delays stemmed from Julie’s ongoing health issues as well as demand on Buddy as a go-to sideman, producer and co-host of the Buddy & Jim Radio Show on SiriusXM with his friend Jim Lauderdale. Once the new record was underway, Julie penned some 50-plus new songs for the pair to choose from. Recorded in the couple’s bedroom make-do studio located upstairs from Buddy’s home studio, the results are raw, immediate and honest. Buddy and Julie are scheduled to make a rare live appearance to celebrate the album’s release Nashville’s City Winery on June 26th. The performance will be recorded for later broadcast on the Buddy & Jim Radio Show. “Breakdown on 20th Ave. South” will be available June 21st via digital retailers, on CD and vinyl, with a special “Root Beer Swirl” colored vinyl available only at independent retailers. The album is now available for pre-order.